We believe in keeping things simple at NMI and you’ll be pleased to learn that there is a very simple process to follow to join us. Just an annual contribution towards member services and “backing the mission”. Apply by credit card online by clicking the left image above (preferred) or, if you would prefer to pay by invoice, click the right image to download an application form (If using this method return it via email to your NMI contact or direct to [email protected]). If joining online, complete the application form, follow the prompts and pay by credit card using our Sagepay account. Your membership starts as soon as your application has been accepted (usually within 2 working days) and lasts for 12 calendar months. We will automatically renew your membership at the anniversary date unless you inform us otherwise (you have 30 days to cancel without penalty from your renewal notice). What are the fees? Our aim is to provide access to the benefits of NMI membership to all stakeholder organisations – from early-stage SME’s to large multi-nationals. We encourage a diverse and rich membership base covering every aspect of the industry and have designed a fee structure in relation to the size of the organisation reflecting value and ability to pay. Organisations which have corporate headquarters in the UK or ROI benefit from a discount on standard fees. Please see the chart below. Community Membership is free. Simply register your details with this site (follow this link) – get connected and benefit from additional content, information and offers. *Business Associates pay a flat fee regardless of size. These are organisations that have a stakeholder interest in the health of the UK electronics systems community, but are not part of its life-cycle (e.g. advisors, business consultancies, legal practitioners). 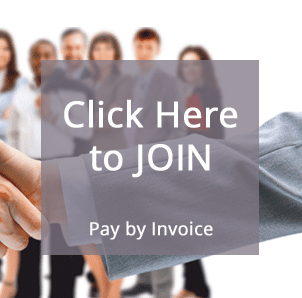 Premium Membership: For organisations working with NMI on a premium bespoke or customised service – Price on Application (POA), for more information. Payments: All prices above are in £ (British pound) payable per annum and exclusive of VAT. 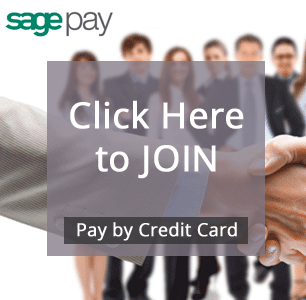 We encourage you to pay your membership fees by credit card using Sage Pay to help us keep our costs low. Membership runs for one year from the date of application acceptance. Renewals are issued automatically at the anniversary date. Membership fees are updated annually to ensure provision of services – NMI will always notify you of such changes as they happen. NMI is committed to providing a valuable service to your organisation and the wider industry base here in the UK. In the event that your organisation does not wish to renew your membership at the anniversary date you must notify us of your wish to cancel within 30 days of the renewal notice without penalty. In fairness to all members, should you fail to inform us within this period we will assume you are continuing with membership at which point you will be liable for the annual membership fee in full. All fees are payable in £ (British pound), per annum, and exclusive of applicable sales taxes. NMI reserves the right to charge statutory interest for late payments. If you are unsure of the applicable fee please contact us on 01506 401210 and we will guide you through the fee structure.